Social media profiles affects college admission, job searches, and careers. A 24-year-old high school teacher in Georgia, USA, lost her job after an anonymous e-mailer complained about a Facebook picture of her sipping wine and drinking beer while on vacation in Europe. An Arizona woman was fired after ranting on Facebook when she was passed over for a job promotion. An 18-year-old Buckingham Palace guard was fired after he called Kate Middleton a 'stupid stuck up cow' in a Facebook post. A star high school football recruit lost his scholarship to the University of Michigan because of vulgar tweets. By now, you know that you should not reveal personal information to strangers or on your Facebook profiles, and that you should utilize the privacy settings on social networking sites. You also need to be careful with what you are posting online because potential employers or college admission officers could be looking at your page. A newly published report tells us that 1 in 10 people between ages 16 and 34 have been turned down for a new job because of photos or comments on Facebook, Twitter, Pinterest, and other social networking sites. 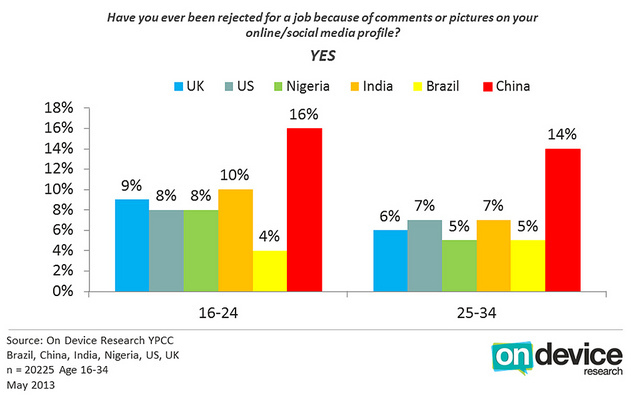 "The majority (two-thirds) are not concerned that their use of social media now, may harm their future career prospects and are not deterred from using it," states ondevice research, "They are also more likely to have altered their social media profile to look good to their friends, as opposed to prospective employers." 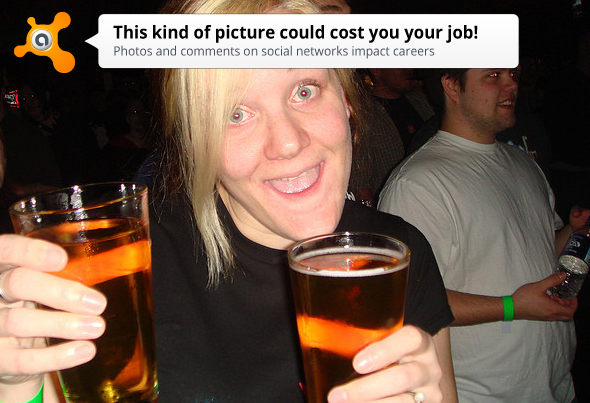 If you can’t live without social networking, especially Facebook, during your job search, use it to your advantage. Build a compelling professional profile. Show off your strengths and accomplishments. To keep it personal as well as professional, add interests, hobbies, volunteering, educational information, and professional pictures. Follow and engage with companies and career–related groups on LinkedIn and Twitter so you’ll know about company hires and other news. Add value to the company you are interested in by participating in conversations, answering questions, and sharing links. Make sure you use solid grammar and communication skills. If your Facebook profile is beyond help, then consider deactivating it for a time. The deactivation option gives you the flexibility to leave and come back whenever you want. Select Account Settings>Click Security in the left-hand column>Click Deactivate your account.